Order Your 800 Number Now! "800" was the first toll free prefix used so toll free numbers are often referred to as 800 numbers. With the growing popularity of toll free numbers, the "800" prefix soon become exhausted and a new group of toll free prefixes including "888", "877" and others were added. But still "800" continues to dominate as the most popular toll free prefix. "When it comes to business, the "800" prefix carries slightly more value because it's the oldest toll free prefix and is easily recognized as a business number. 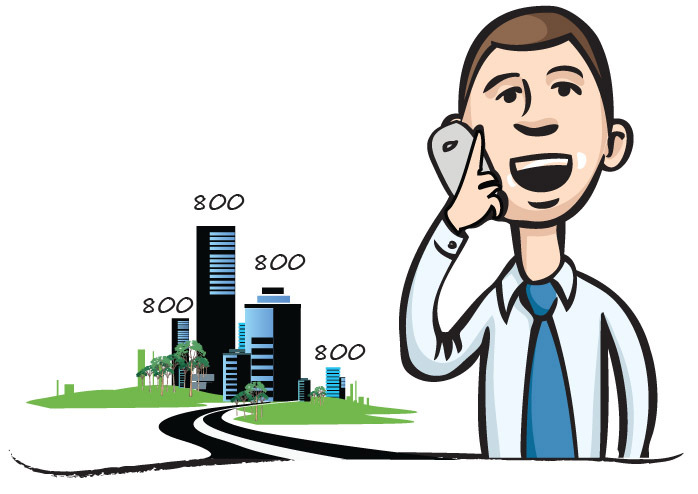 Give your business the catalyst it needs - Get 800 Numbers Today!